Product prices and availability are accurate as of 2019-04-21 18:14:08 UTC and are subject to change. Any price and availability information displayed on http://www.amazon.com/ at the time of purchase will apply to the purchase of this product. 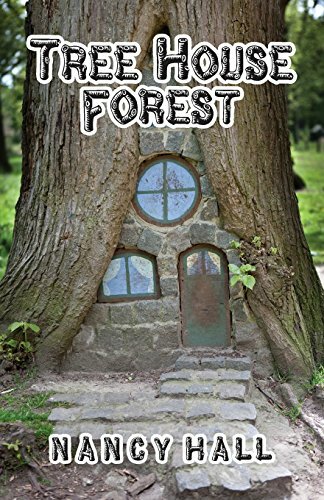 Author Bookstand is proud to offer Tree House Forest by Bookstand Publishing. Bookstand Publishing offers books by the best indie authors throughout North America and the world. Bookstand Publishing is dedicated to offering original content to a broad audience and promoting great authors, literacy, and freedom of expression. Tree House Forest has generated a lot of interest and excitement and we think it would be an excellent addition to your library. 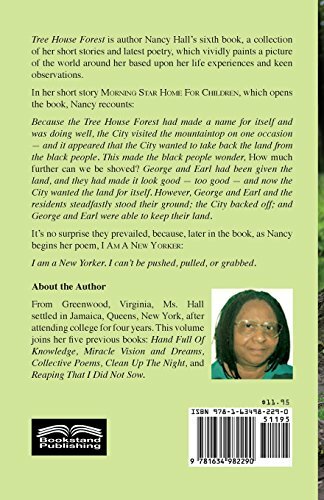 Tree House Forest is author Nancy Hall's sixth book, a collection of her short stories and latest poetry, which vividly paints a picture of the world around her based upon her life experiences and keen observations. In her short story Morning Star Home for Children, which opens the book, Nancy recounts: "Because the Tree House Forest had made a name for itself and was doing well, the City visited the mountaintop on one occasion -- and it appeared that the City wanted to take back the land from the black people. This made the black people wonder, How much further can we be shoved? George and Earl had been given the land, and they had made it look good -- too good -- and now the City wanted the land for itself. However, George and Earl and the residents steadfastly stood their ground; the City backed off; and George and Earl were able to keep their land." It's no surprise they prevailed, because, later in the book, as Nancy begins her poem, I Am a New Yorker: "I am a New Yorker. I can't be pushed, pulled, or grabbed."